What is that girl going to be like as a teen?!!! At least she's thought it out. I was thinking you could send her to Disneyland and she could be Arial. Coconut drinks, what a hoot! how adorable~she must love reed's red hair, or does she mean red as in "not orange". reed tells everyone he has orange hair "not red"
Get ready for that little one. Sounds like she is getting used to the good life ;). And what's the deal posting a couple of days in a row? I can't keep up with you girl. Fur- Yep, they're growing up WAY too fast. Emily- I love the word hoot. LOL! Nichole- Halle is my second, she's 7. And I don't have a clue what she means by red. She's just so funny sometimes. Emily- Really?!! :) I'm invited!!?? You don't think I'm a crazy that will abduct your children or stalk you? 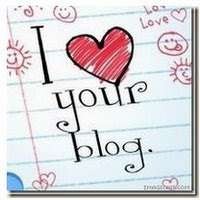 ;) I'd be honored to be invited to your private blog. elena[at]manwaringweb[dot]com THANKS!! When I picture Halle with red hair drinking coconut drinks in Hawaii--she comes up looking like the little mermaid :)! And yes, I'm blogging from the computer in the hotel lobby. Pretty sad, eh :)?! Well...if you can read my drivel...I'd love to read yours :-) I'm all for coconut drinks in Hawaii. Oh...and I scrolled down to some of your other posts...I just did a transformation landscaping post on Wednesday. So funny...sounds good to me also! Your dream was hilarious! Betsy and Monicka are here visiting right now and so I read it outloud and we all had to laugh! Dreams are so crazy! I'm not sure I've ever known anyone named "Orchestra" before-but it would fit in with the "vowel" thing we have going on! Funny!